With the return of Doctor Who's finest Martians this weekend, Big Finish have slashed the prices of some of their collection of audio plays featuring the Ice Warriors. 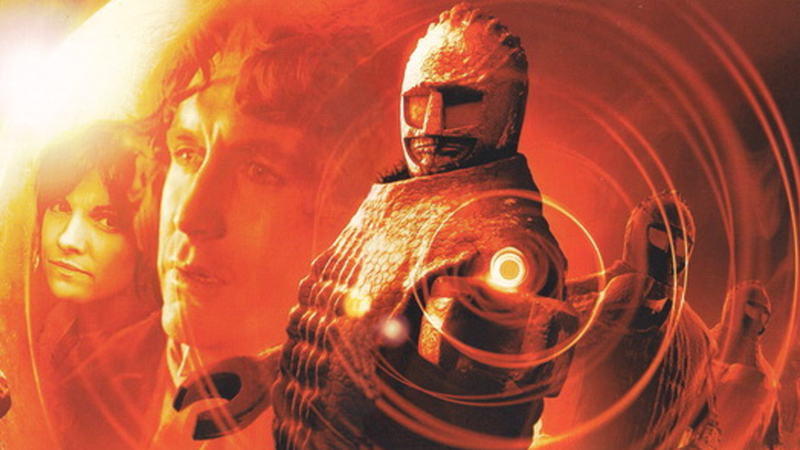 Celebrate the broadcast of Cold War with some of the best Ice Warrior adventures this side of Peladon! There's some pretty cracking stories in here - Deimos and The Resurrection of Mars both come highly recommended, as they're stellar entries in what was already a fantastic 4th series of The New Eighth Doctor Adventures. Mission to Magnus and Thin Ice are also both good, but especially interesting as they were 'Lost Stories' - scripts originally developed for the TV show, but were ultimately scrapped as their series (1986 for Magnus, and 1990 for Thin Ice) were cancelled. Thin Ice is especially appropriate this weekend, as it's an Ice Warrior story set during the Cold War, with a guest cast of Communist Ruskies! Act sharpish though, as the sale ends early Monday morning (UK time).